Suzanne Huelin Chandler of Cranford, NJ passed away peacefully on March 30th. She was born and raised in Portland, Maine before moving with her family to New Jersey over 50 years ago. Suzanne attended Stevens College in Columbia, Missouri. She married Richard Chandler (now deceased) and together they celebrated 52 years of marriage. They enjoyed traveling the world together but would always return to their favorite spot at "The Camp" on Sebago Lake in Maine. Suzanne was active with the Cranford Dramatic Club where she enjoyed singing, dancing, working backstage or serving refreshments to the audience. 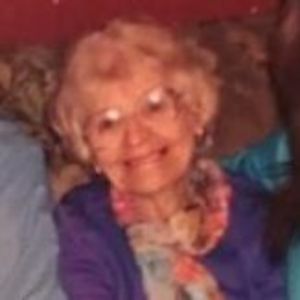 She "played at golf" at the Roselle Golf Club and belonged to both the Wednesday Morning Club of Cranford and the Junior League of Elizabeth-Plainfield. Suzanne is survived by her brother, Robert; her four children, Marc, Gayle, Cyndy and Dana; nine grandchildren and two great grandchildren. Family, friends and any who knew of her are invited to celebrate Suzanne's life at Gray Memorial Funeral Home, 12 Springfield Ave., Cranford, NJ on Wednesday, April 3rd between 4 and 8 pm. In lieu of flowers, donations may be made in Suzanne's memory to St Jude's Children's Research Hospital (501 St Jude Place, Memphis, TN 38105). Add your thoughts, prayers or a condolence to Suzanne's guestbook.